Director of Energy and Environmental Quality of Barcelona city. Senior Industrial Engineer specializing in Energy Techniques from the Technical School of Industrial Engineering of Barcelona (ETSEIB) of the Polytechnic University of Catalonia. 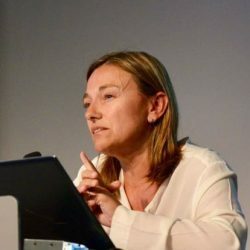 In 1995, she joined the Buildings, Transportation and Renewable Energy Department of the Catalan Energy Institute as a building technician.